Knockout 10 – could it be you? 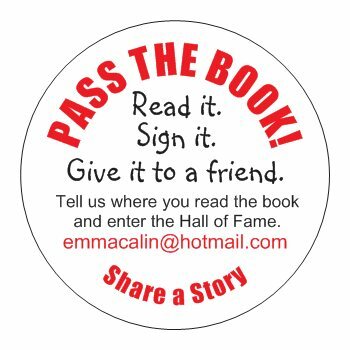 We will also paste your photo in the Hall of Fame (find it by looking on the menu for the book title and the copy number). You will be able to see where the book went before it reached you and then track it’s progress around the world when it’s passed on. We expect to offer a special prize once every 6 months for newly submitted photos – we will pick what we think is the funniest, cleverest or most appealing shot for each book title. Winners will be notified by email and will feature in the Competition section. Prizes will be posted anywhere in the world!